Kickboxing Exeter, first lesson FREE! Unit 1, 26 Marsh Green Road, , Exeter, Devon, ex2 8pn. Our kickboxing class is our most popular class, as the training is wide and varied, and is very beneficial for casual practitioners and the more competitivly minded! Kickboxing is a fast and physically demanding sport that uses traditional boxing skills with dynamic and powerful kicking. Introduced in the 1970’s, it is now a widely practiced Martial Art due to the great physical workout that training brings. With a solid cardio session and some of our most comprehensive stretching, this class will help work every area of your body. This means that if you want a fun workout, which pushes your body, and learning valuable Martial Arts skills at the same time, this class is for you! But we aren’t just a fitness class! 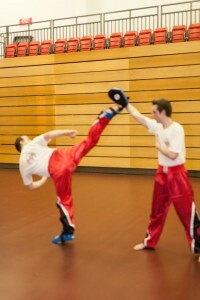 You will also work hard on padwork drills and partner exercises, finishing off with some sparring. Our kickboxing class is where we shape our future competition fighters, and the training gives them experience in Light continuous, point fighting, full contact and boxing disciplines. It is not essential that you wish to compete, but if you want to become the next top fighter, this is the place for you! Our kickboxing class is based on the “Superfoot” system of kickboxing, formulated by one of the best kickers in Martial Arts, Mr. Bill Wallace, who retired undefeated kickboxing champion. This allows us to deliver one of the best kickboxing classes in the area, making sure your punching, kicking and footwork skills are world class. 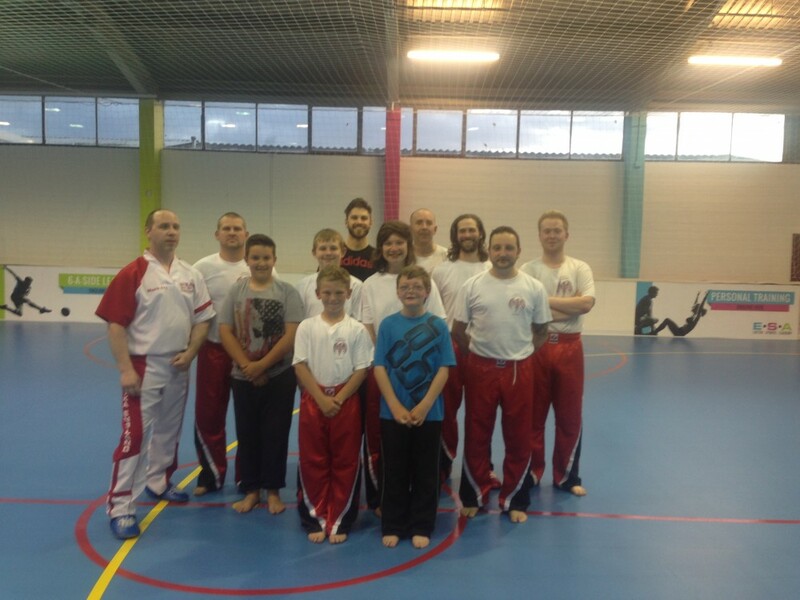 Classes are run every Tuesday at Unit1, 26 Marsh Green road, Exeter, 6pm-7pm for children, and 7pm-8pm for adults. Beginners are always welcome and the first lesson is FREE! » Closed for the Christmas holidays!